Weather condition for the past few days and over the next few days is predicted to have a significant chance of rain and humid conditions. These conditions are quite favorable for the development and spread of rust diseases to include southern corn rust and Asian soybean rust. 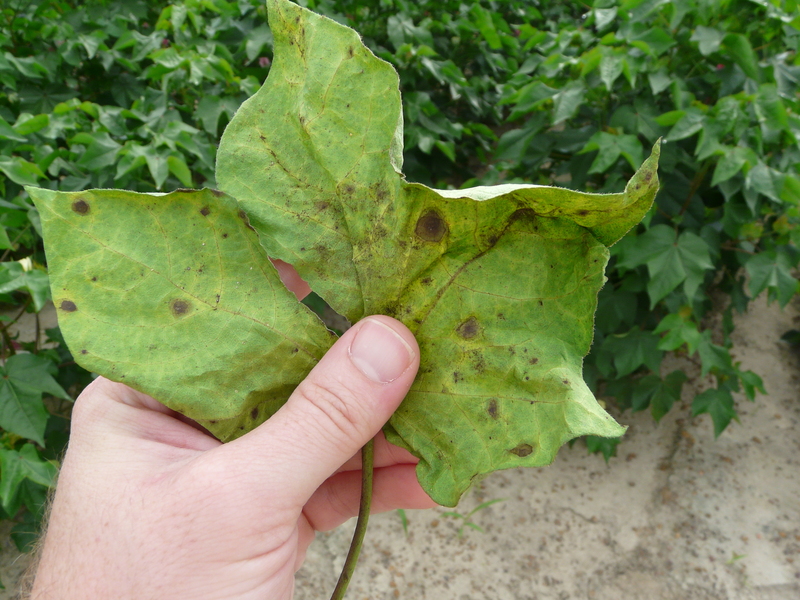 As of today, 5 June- Asian soybean rust has been found on kudzu in Miller County and on corn in Seminole County. 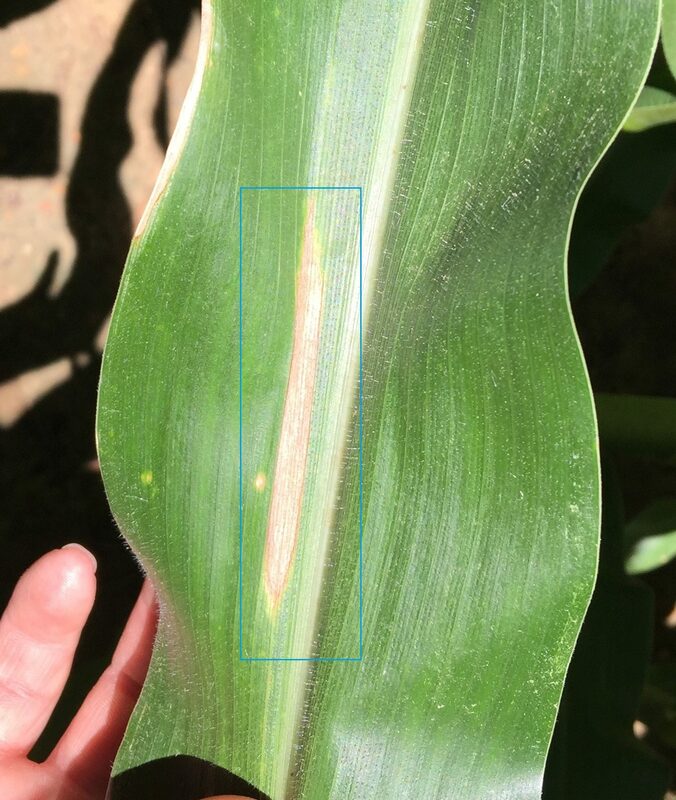 My recommendations: Corn in southern Georgia that is approaching tassel stage (or has reached) is now at some risk to southern corn rust. The risk is likely not urgent yet, but finding rust now (fairly early in the season) and coupled with the current weather conditions does increase risk. 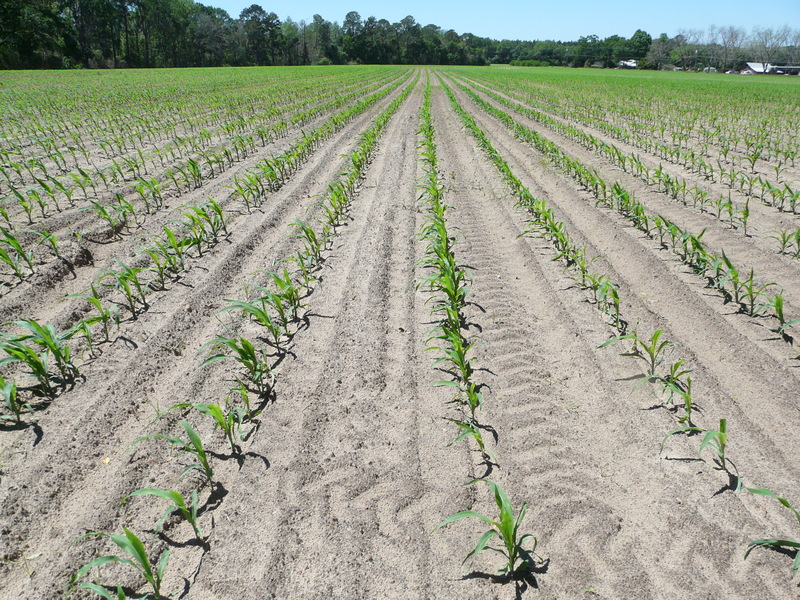 The picture above is corn in Thomas County that is also silking. 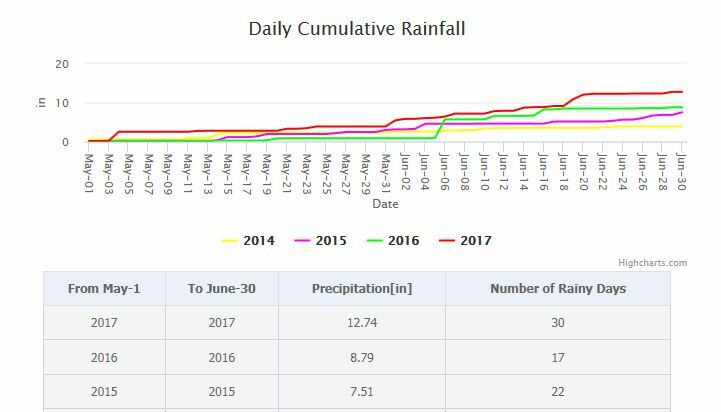 We are very fortunate with our rain these past few weeks. 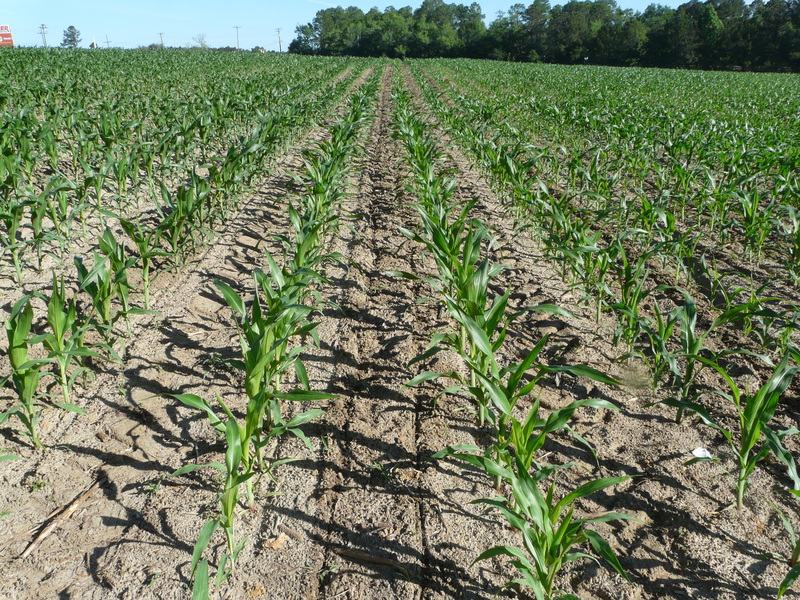 During this stage (70-80 DAP) corn is still using 0.3 inches of water / day. We also need to watch for stink bugs. 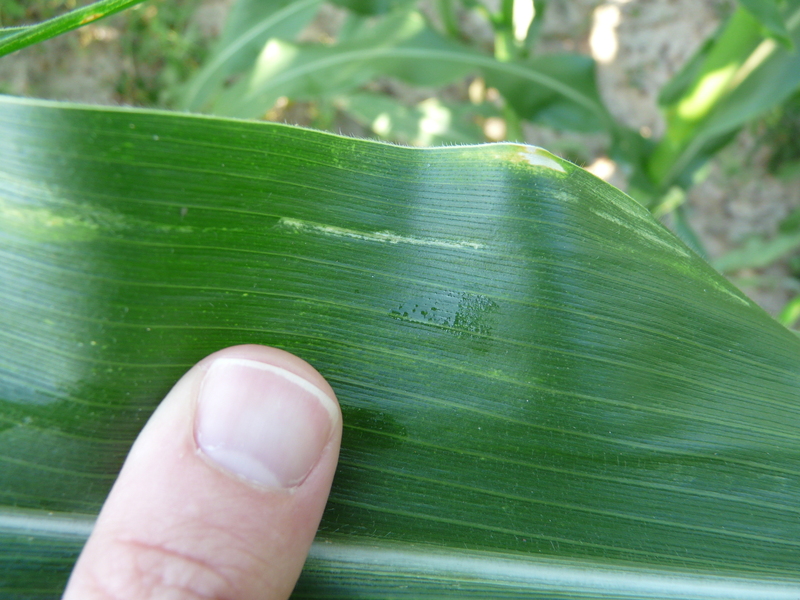 It is common to treat during the ear elongation / tassel state (VT) is 1 SB per 2 plants is present. Because they can hide from you, it is easiest to drive down the rows and check. 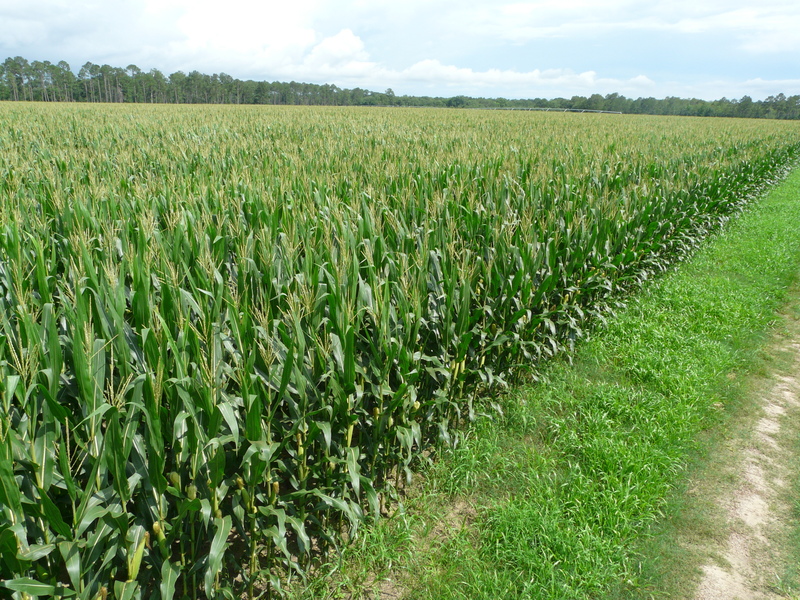 During policantion and blister statges (R1-R2), SB feed through the husk and damage individual kernels. Treat if you see 1 per plant. Pyrethroids are fine to use when we’re seeing southern green SB. If brown SB are prevalent, use a high rate of bifenthrin to get about 75-90% control. 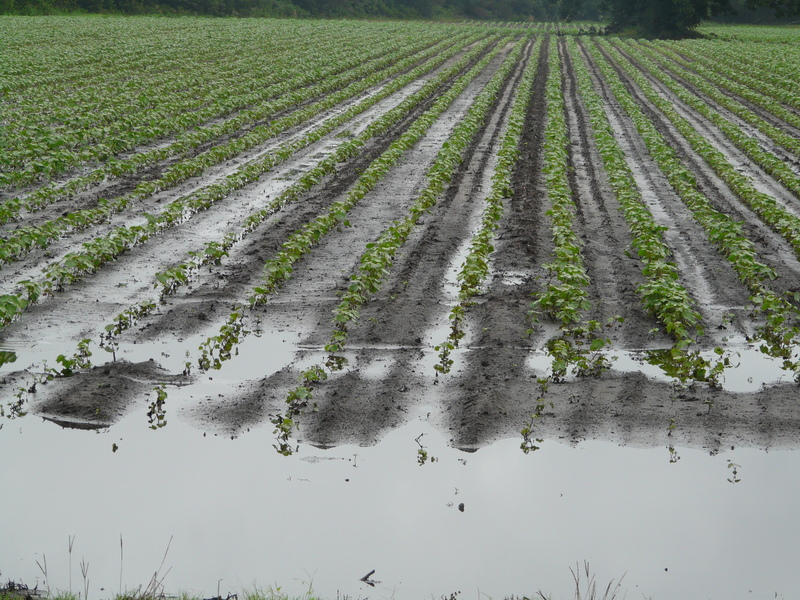 We are very thankful for timely rains without significant storms. We’ve had atleast 1.5″ of rain in the last 7 days. 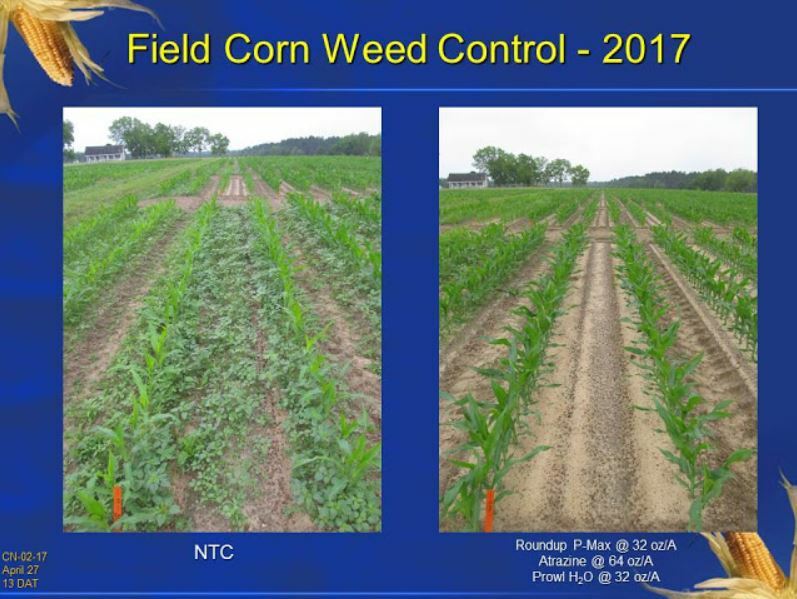 This has helped get our pre-emergent herbicides activiated. 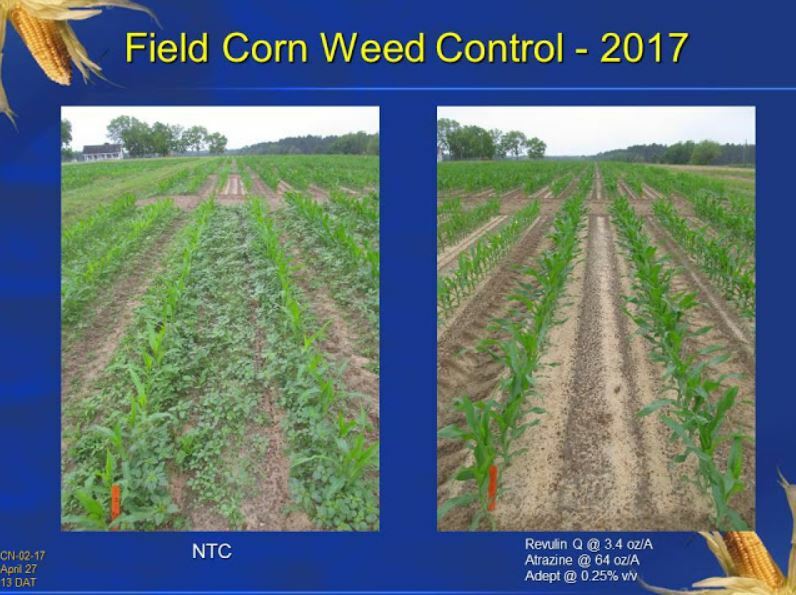 This is also good for dryland corn, as it approaches the critical V6 growth stage where much of its yield is determined. It’s not time to sidedress. We want 1.2 lb of total N per bushel goal. 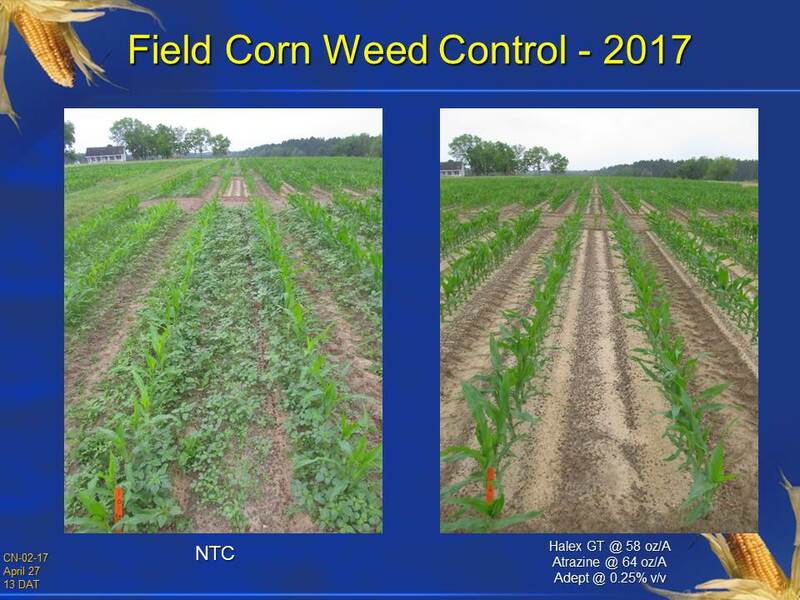 UGA Extension Fertility Specialist Dr. Glen Harris recommends sidedressing at 12″ to 16″ height. If we’re using ground equipment, we’re putting out 50 to 75 lbs of N per at at / before planting on irrigated land and 20 to 50 lbs of N per acre in dryland. We put out the rest of the N at sidedressing. You put out 40 – 60 lbs of N at or before planting and start ground or injected applications of 30 – 60 lbs of N per acre when corn is 8″ to 12″ tall. Keep this going every other week until the total required N is finished. 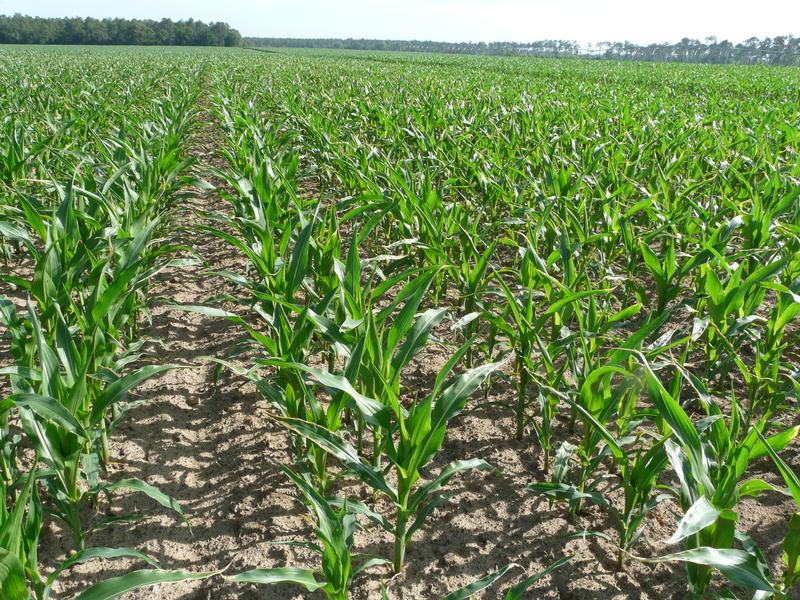 You’ll need 3 to 5 applications during the growing season. 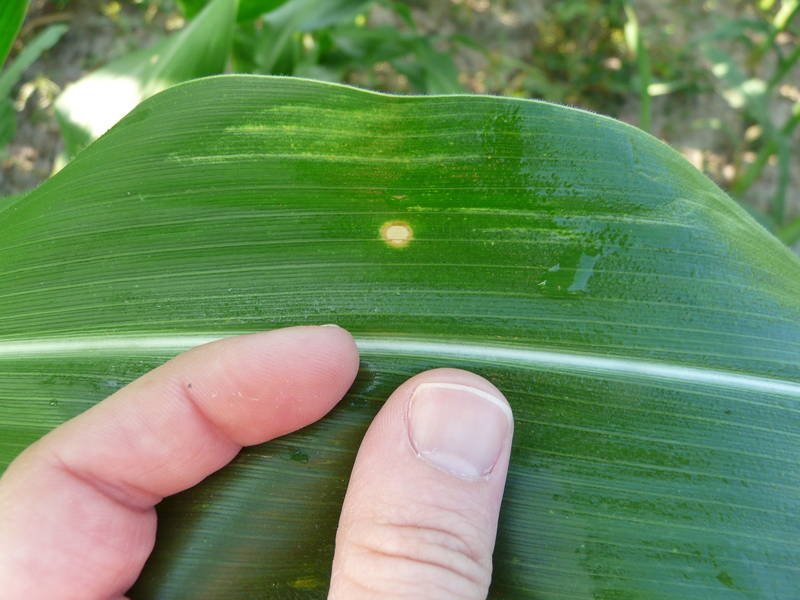 Corn requires about 20 to 30 lbs of Sulfur and we sometimes see sulfur deficiency. It looks similar to N deficiency except we see an overall yellowing of the corn plants. (N deficiency shows up in the lower part of the plant since it is plant movile.) 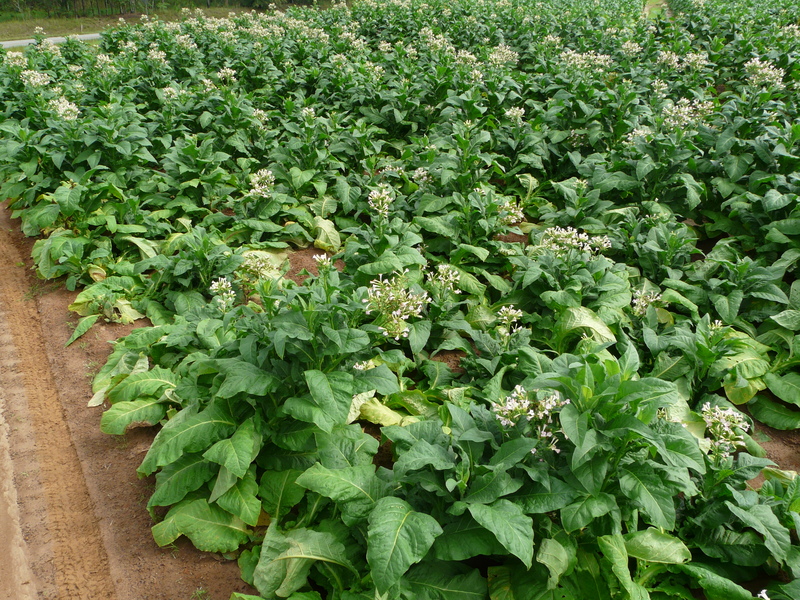 To be sure of which deficiency, we need to take a plant tissue analysis. 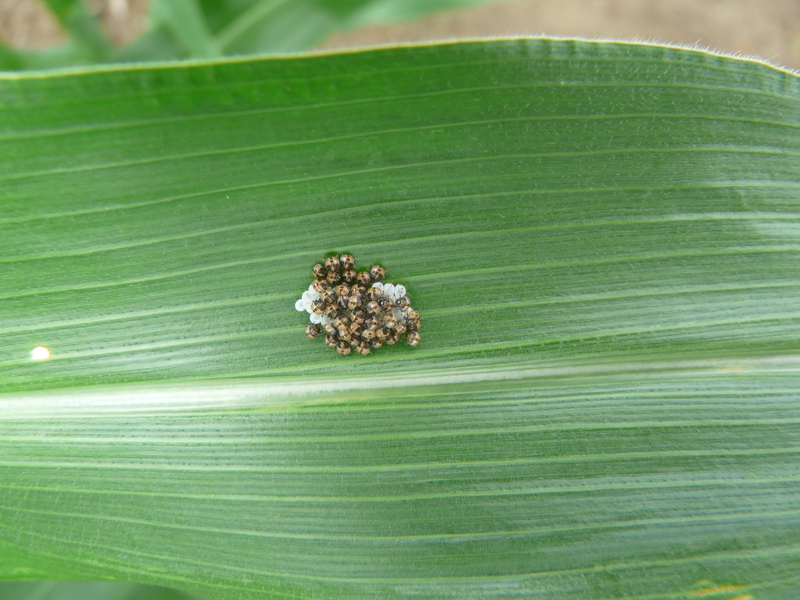 I talked about the proper way to do this for corn in this blog post. Only on sandy soils do we split our S applications. Whatever we don’t put out at planting needs to be put out now. 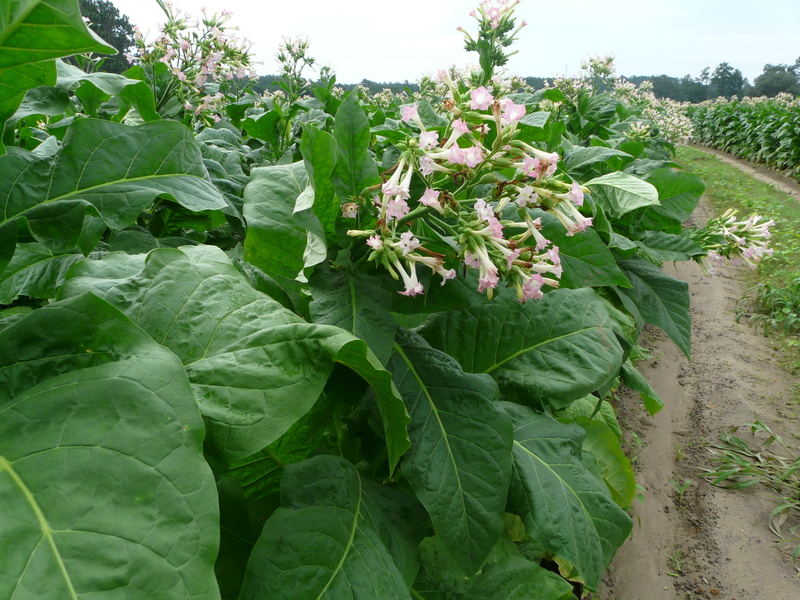 Research has shown that we want to correct our S deficiencies between 21 and 30 days old to not hurt yield.